PDF is one of the most used formats on the internet. While it is easy to consume, if you wish to edit PDF documents, it’s not straightforward. Editing PDF documents sometimes become a necessity. Its because you don’t have access to the source from where it was generated. 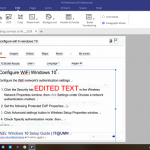 In this post, we are sharing three methods to edit PDF & scanned documents on Windows. Wondershare PDFelement offers a vast number of features when it comes to PDF editing along with OCR functionality. Using it, you can change font type, size, style, edit text, and paragraphs. It also offers a single line editing mode and paragraph mode. You can also edit links, watermark, header/footer, and background and more (see the below screenshot). 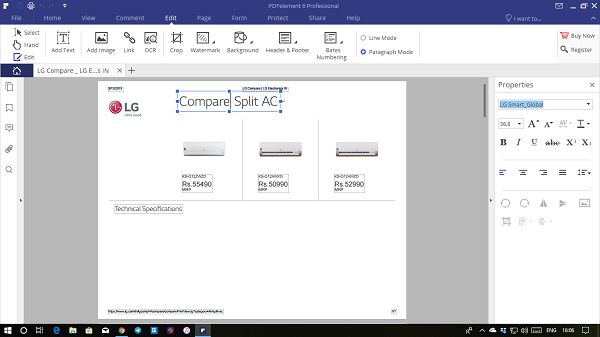 It is worthy to mention, you also can edit the scanned document with PDFelement besides the basic edit. 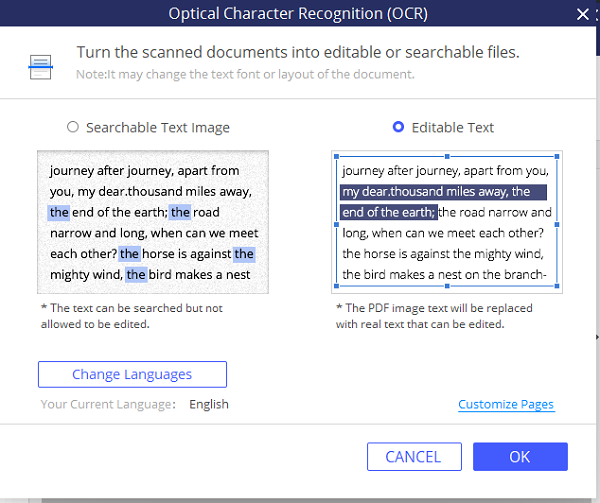 Here I’d like to recommend an advanced feature, we called OCR (Optical Character Recognition). It is another essential aspect of the edit. It can transform scanned PDFs into editable text. Many a time, you receive scanned copy, and they are not perfect, and this is where OCR tech comes handy. 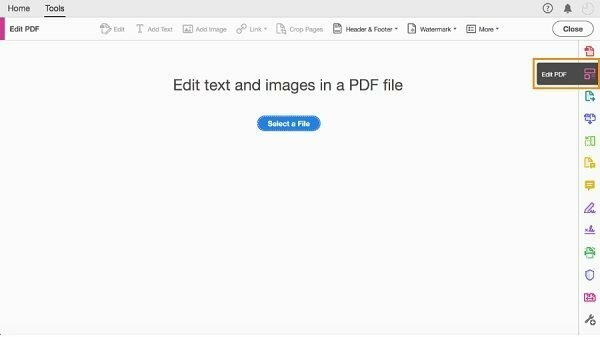 When you open a PDF file which contains an image, Wondershare PDF element will use OCR technology to convert into a document. While it may sound simple, but imagine an image which has not just graphics, but text, and drawings. Optical Character Recognition helps to identify such parts and convert it into a fully editable copy of your PDF. Here is how it looks like when you use OCR, and convert an image into a fully editable document. Select the part of the record which has text, and it will allow you to edit anywhere you want. It can automatically detect font type, so anything you type will match with the rest of the document. The best part of OCR editing is that it supports tabs. So you can open multiple copies of the same image using OCR, and keep editing each of them separately. That way you can have compared all of them side by side before the final output. Split PDF: Many a time you may have to send only part of PDF, and with the source missing, Wondershare PDF element can do wonders. 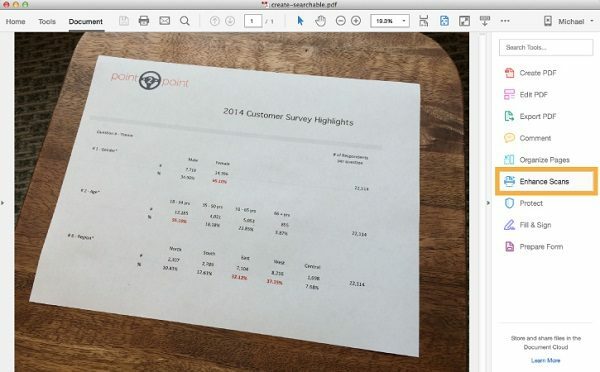 You can crop, extract, insert, split, and replace PDF pages. You can also change page labels. Collaboration with PDFs: PDF element not only makes it possible to edit the documents, but it also makes collaboration possible. You can fill forms, highlight text, draw stamp, comment on the part of the essential. Combine PDF files: If you have data available in multiple PDF files, you can choose to combine all of them. Then you can edit, and make it look like one single PDF by applying common font, and design. Later they can be converted into other office formats including Word. It is possible to create forms with suits business including automatically fillable tax forms, business forms. The editor still offers you to set password, permissions, batch file process, extract data and also redact sensitive PDF content. It supports digital signatures. 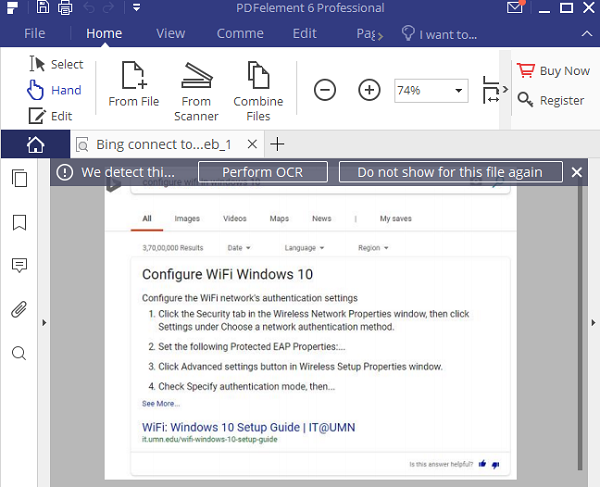 Download, and edit PDF documents using PDFelement. It is also available for free trial with all features unlocked. It should be enough to try, and clear all doubts about it. You can also try OCR mode in trial mode after downloading the plugin. Adobe also offers a complete suite of PDF editing including OCR. When you open a PDF which contains drawing and text, it will automatically generate a custom font, convert the image to text and PDF to text. Post that you save them as Smart PDFs. 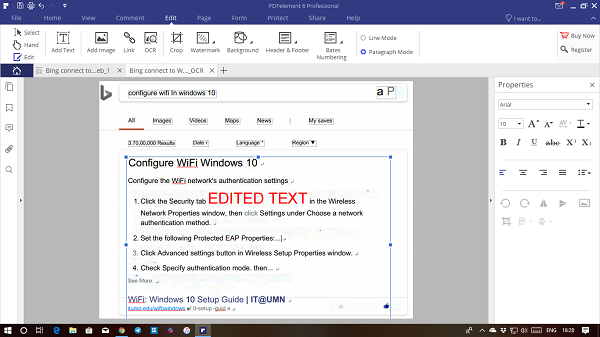 It allows you to keep the exact look and feel of the document but still lets you search and copy text inside it. However, you will not be able to edit this particular pdf. Coming back to the editing part, Adobe offers full-page editing with options to add new text to page, add new lines, formatting, etc. Whenever you add something, the rest of the paragraphs will automatically adjust. 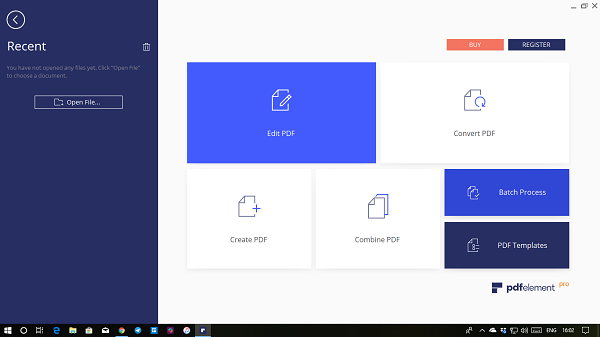 Foxit offers a free PDF editor which offers basic tools for changing text, text flow across multiple sections, columns, and pages, editing graphics, organize and manipulate your PDF file. When it comes to OCR capability, it can connect with the scanner, and convert to PDF documents. Post that, it can make contents in the image selectable, and searchable. Gone are those days when PDF editing was so much of a trouble. Using tools like Wondershare PDFelement, it is possible to edit PDF documents like editing the original text … that too at an affordable priced compared to software like Adobe.